The Anam Cara design is Boru Jewelry's signature brand, originally designed in the mid '90's and it is still a firm favourite world wide. Boru Jewelers created the original Mo Anam Cara, "My Soul Mate" ring. 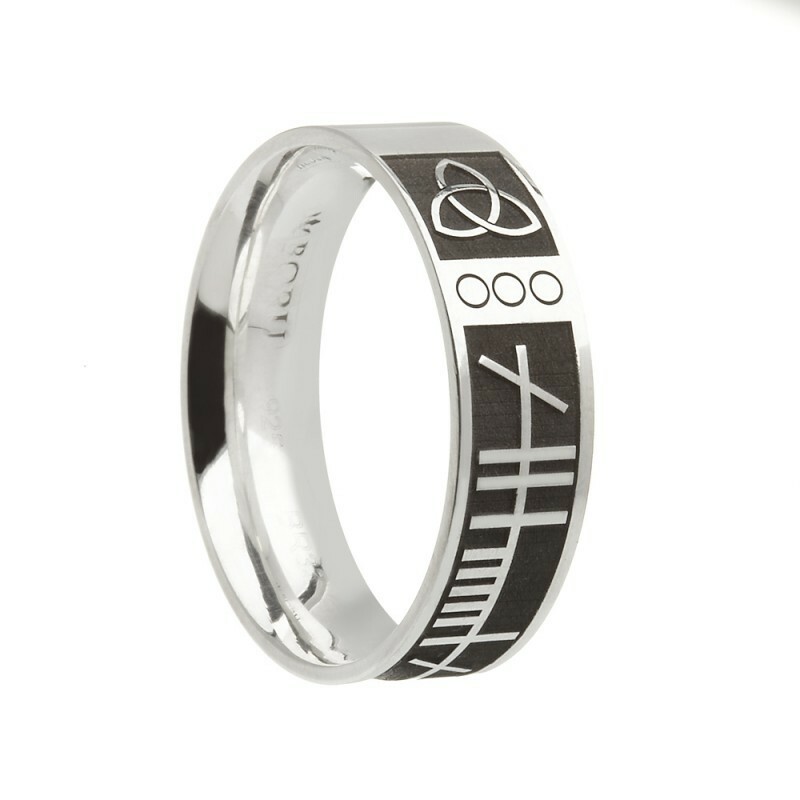 The band on this Irish ring has been deeply etched and oxidised and includes the sentiment of "Mo Anam Cara" in the ancient Ogham Celtic Alphabet. In Celtic tradition it is believed that when you connect with that special other person and become completely open and trusting with that individual, your two souls begin to flow together. Should such a deep bond be formed, it is said you have found your Anam Cara or "soul mate". This is a unisex 'comfort fit' band meaning the inside of the band is domed for a more comfortable wear. It is available in two band widths.